Direct all of your staff members to one location. The Directory Site makes it easy to get started managing online profiles for campus staff. 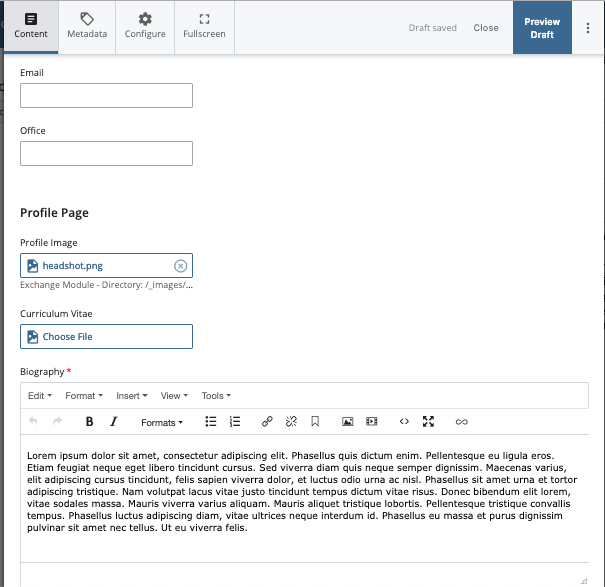 Customizeable fields make it easy to manage each profile and eliminate the need to edit XHTML markup. The Landing Page automatically populates a directory view that is filterable by name, title, expertise and department. Each Profile Page includes a biography, headshot, contact information, and more. Editable fields can be customized through the Data Definition and the entire site is built on Bootstrap 4.1 to display responsively as well.